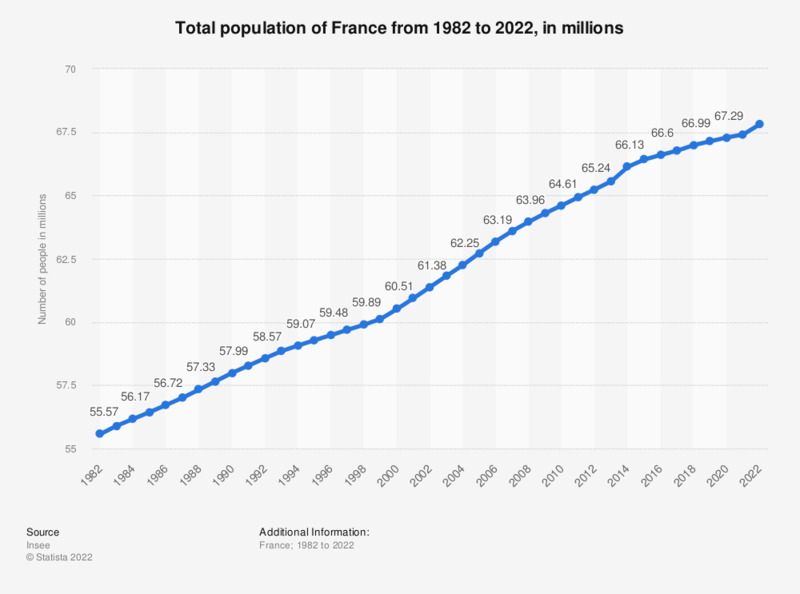 This statistic shows the total population of France from 2004 to 2019. It shows that the French population increased by over four million people in 15 years. The source adds the following information: "Until 2014, the figures did not include the population of Mayotte. It was included from 2014 onwards".